Tenerife is the largest of the Canary Islands and, perhaps, the one most commonly associated with British tourists enjoying cheap holidays in the sun. But cruise passengers know that there is more to Tenerife than just booze and beaches, in fact, the north of the country is a real beauty spot gem with lashings of culture on the side. The capital of the island (and joint capital of the Canary Islands), Santa Cruz de Tenerife, is the closest city to the cruise terminal and is chock full of things to do. But, if you’d rather explore lush greenery and spot the local wildlife, it is worth checking with your cruise line to see what excursions they are offering. The cruise port at Santa Cruz is shaped like a giant ‘U’ and all cruise ships – no matter what size – will be docking here. It also doesn’t matter whether you are at the top or the bottom of the port, the city centre is within walking distance and will take you no longer than 25 minutes to reach. Some cruise lines will even put a shuttle bus on to help you on your way. Looking to get across the island? There are plenty of taxis waiting at the bottom of the port ready to take you to the bars and neon lights of Playa de las América, or the foot of the imposing Mount Teide. Teide National Park: Living proof that Tenerife is much more than cheap booze and bars, the Teide National Park is an area of outstanding natural beauty which makes for an incredible hike. 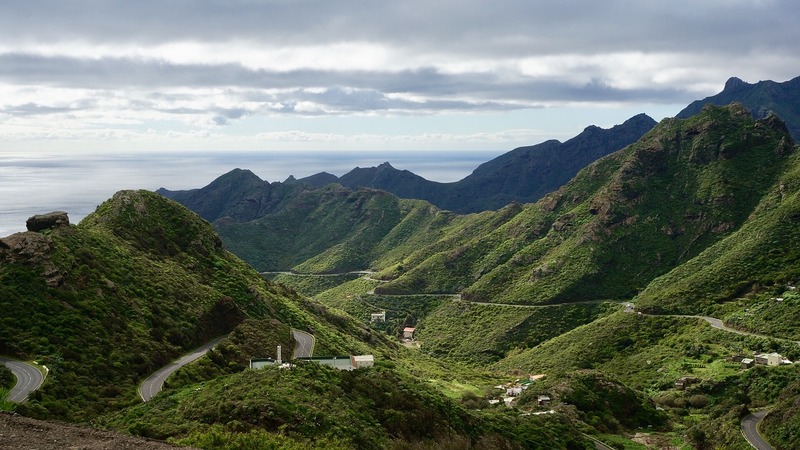 Explore the volcanic craters and caves, keep your eyes peeled for unique fauna and flora you’ll only find on Tenerife or take the cable car to the top of the volcano and admire the views from this 3,555m peak. Whales and Dolphins: The oceans surrounding Tenerife are rife with incredible sea life including more than 28 species of whales and dolphins. There’s plenty of local companies offering boat trips promising an opportunity to catch a glimpse of them – some trips will even include food and drink. While there’s no guarantee you’ll see one of these underwater mammals, an afternoon on the crystal blue waters has its own pleasures. Museum of Nature and Man: This fascinating combination of natural science and man-made structures is comfortably the best museum on the Canary Islands. The highlight (if you should say that) is the large collection of mummified remains housed in the museum, all of which are preserved to a truly impressive degree. With some great interactive displays for the kids, this is a great day out for all the family. Bodeguita Canaria: A traditional Canarian restaurant which serves up traditional tapas with a local twist. Perfect for a spot of lunch. Los Reunidos: This popular restaurant is perfect for lunch or dinner and serves a range of local favourites and exotic cuts of meat. Try the Uruguayan beef! Taberna Ramon: If you have a hankering for some authentic Spanish-inspired tapas then this is your place. There’s a brilliant wine list as well. Calle del Castillo: The main shopping street in Tenerife where you’ll find major high street shops like H&M and Mango. El Corte Ingles: This ever-popular department store in Santa Cruz has nine floors of shopping, perfect for those tourists hunting a bargain. Market of Our Lady of Africa: Tenerife’s most famous market is well worth a visit – especially if you want to return to the ship with some fresh, Spanish tapas. While the south of the island is awash with English-speakers due to the high influx of British partygoers, the north still retains its Spanish identity and so it’s worth brushing up on a few Spanish phrases to make talking with the locals easier.